Nucleus Divino Espírito Santo: The Project takes place at Casa de Artes e Culturas Percília Teles da Silva,located in the Community Divino Espírito Santo, Espírito Santo Street, 288 - Praça Seca. THE WEEK OF FRANCE was an event of the Project Pianist of Tomorrow and the House of Arts and Cultures Percília Teles da Silva". Activities: Contemporary and Street Dance, Drawing and French free classes. 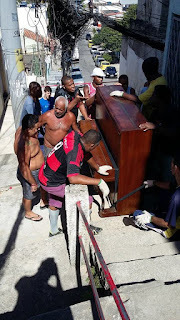 Inès Kermaïdic, young french dancer, worked as volunteer during one week with 25 children and teenagers residents of the Shanty Town Divine Holy Spirit, located in the West Zone of the City of Rio de Janeiro. Inès Kermaïdic studies at the ESAG Penninghen Ecole Supérieure d'Art Graphique et d'Architecture. Visit our website in Portuguese and in French! Our partner since march 2015, the beginning of the Project at Complexo do Alemão, in Inhaúma, Rio. 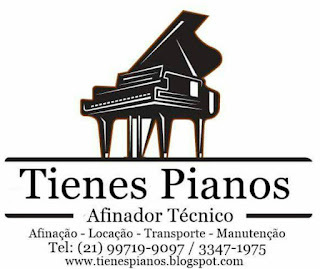 MARCELO TIENES is who tunes and transports our pianos. Our partnership began in March 2016. 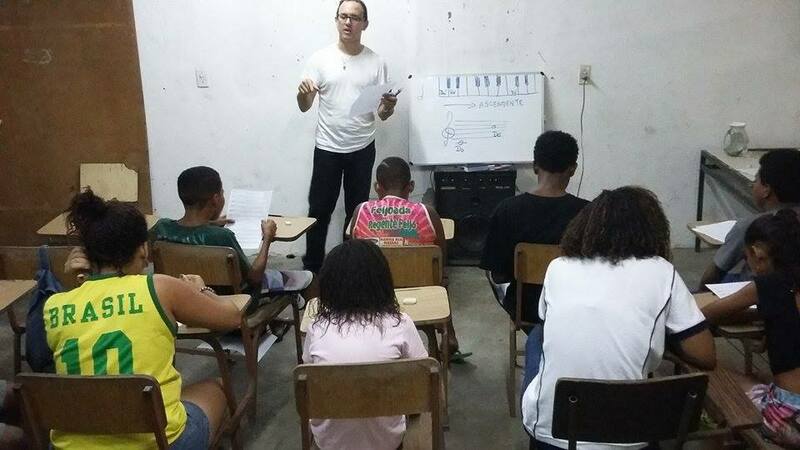 It allows kids from Brazilian Jockey Club School to learn piano in the project Pianist of Tomorrow. 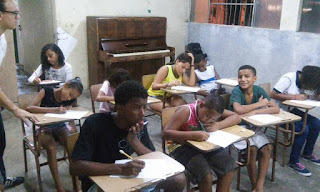 Through this partnership, six of our students learn English at Skill Idiomas Unity Praça Seca. It dates from April 2018. 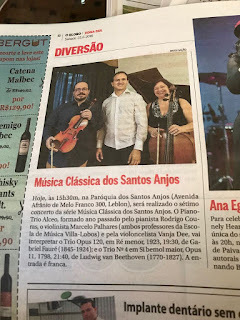 PIANO-TRIO ALCEO, formed in 2017 by the teachers of the Villa-Lobos Music School Rodrigo Couras and Marcelo Palhares and by the cellist Vanja Dee, pay tribute to Maestro Alceo Bocchino. 1st Concert: June 22nd, 2018, in the Parish of the Holy Angels, at 3:30pm. Address: Afranio de Melo Franco avenue, 300, Leblon, Rio de Janeiro - Brazil. 2nd Concert: July 23rd, 2018, in the Center of Carioca Music Artur da Távola, at 11am. Address: Conde de Bonfim Street, 824, Tijuca, Rio de Janeiro - Brazil.